In both cases the dots are there but they are faint and yellow. The windows version makes the dots slightly more visible, although that may be a display issue. 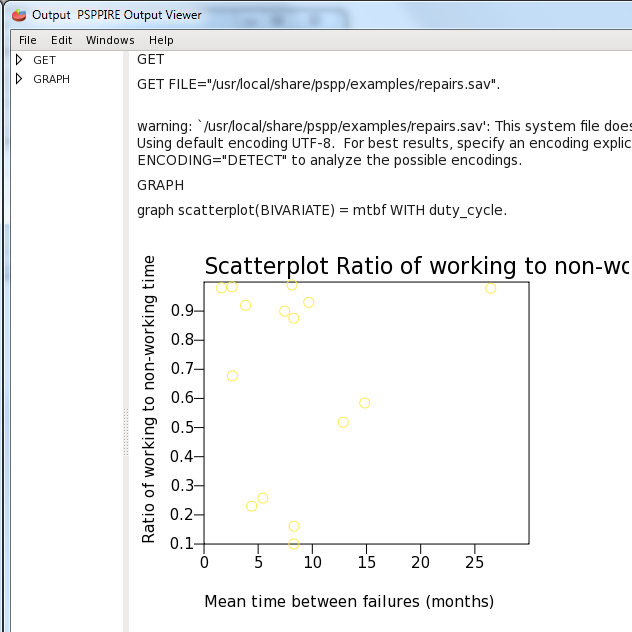 I could not see the dots in scatterplots (using Windows 10). 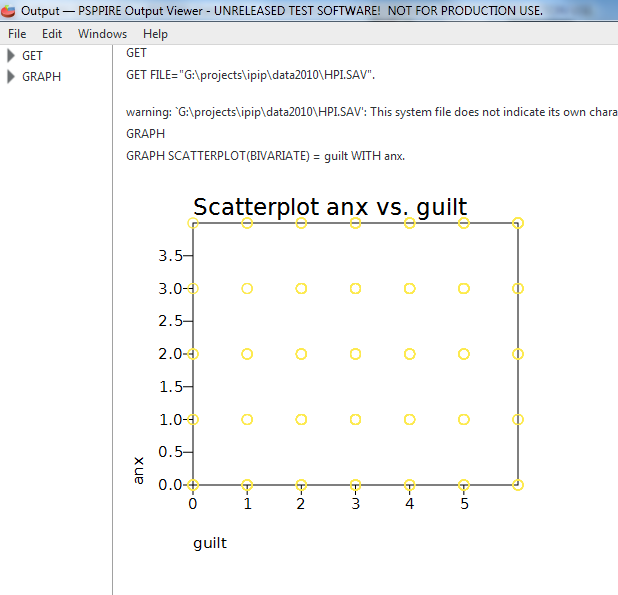 I noticed there were no scatterplots in the version I have installed on a laptop running Ubuntu (Kylin). I would like to use PSPP in my teaching (instead of Excel), so all your efforts are very much appreciated.